Hotel Golden Palms is conveniently located near the Jogeshwari railway station, the lifeline of Mumbai. 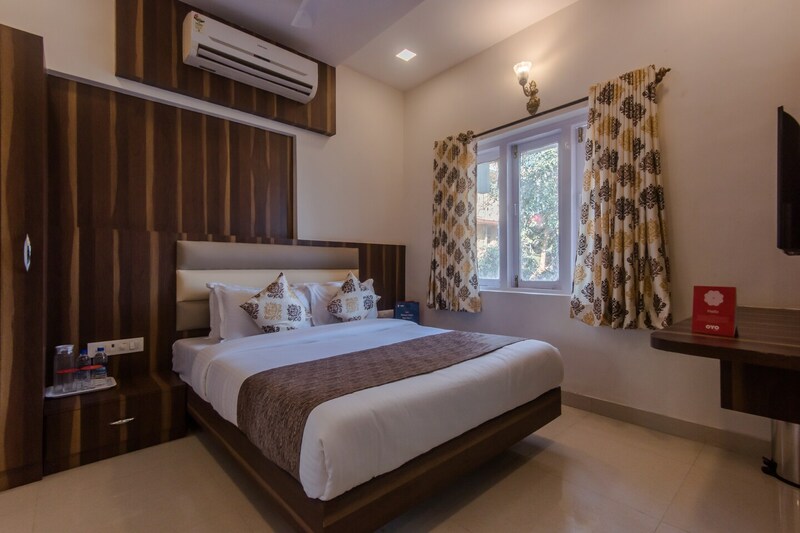 The rooms are cozy, comfortable and welcoming with modern amenities catered for every type of guests. The rooms have been sparsely furnished with a dark wood. You can avail the free WiFi and catch up on your reading with access to kindle. It provides guests with facilities like hot water, card payment option and CCTV security. Jogeshwari temple, Jogeshwari caves and Malcolm Baug are in close proximity of this hotel.